Was into features before they got big. Raptors were big in the Cretaceous, but I expect you have never been there. 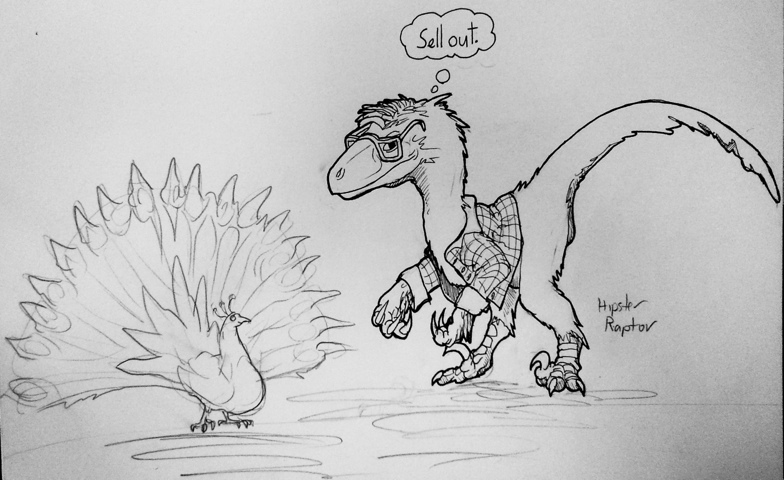 This entry was posted in Quick Desksketch and tagged hipster, raptor by Anthony. Bookmark the permalink.